"Great Cases with New Faces" - Dr. John Svirsky will start the day with a new interactive potpourri of interesting cases seen by or e-mailed to him over the past few years. He will explain how he approaches cases and arrives at a diagnosis. Learn how to describe a lesion, develop a differential diagnosis and treat the condition. As Dr. Svirsky "plays patient," you will help arrive at a diagnosis. Some unusual "things" may pop up. A good time will be had by all! "Come In and Catch It: The Review That Sticks" - After lunch Dr. John Svirsky continues his interactive, entertaining and often risqué style by reviewing in vivid color the things you have forgotten since dental school and dental hygiene school. This is the perfect review course that covers the recognition, diagnosis and treatment of the 25 soft tissue lesions that every dentist and hygienist should know and treat appropriately. Your diagnostic confidence will be re-energized. Dr. Svirsky makes oral pathology fun! John A. Svirsky, D.D.S. is a Board-certified oral and maxillofacial pathologist at Virginia Commonwealth University (VCU) in Richmond, Virginia. 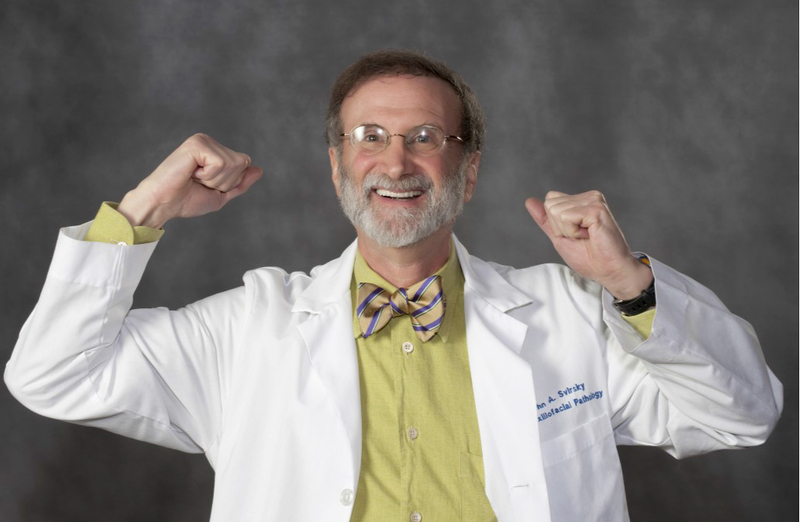 He received his dental degree from VCU and completed a general practice residency at Long Island Jewish Medical Center/Queens Hospital Center, as well as an oral pathology residency at the Catholic Medical Center. He is currently a professor of oral and maxillofacial pathology and maintains a private practice in oral medicine and oral pathology. Dr. Svirsky has developed a broad background in research, published numerous articles and earned a Master’s degree in adult education. He is a sought after speaker with an international reputation as an informative and entertaining lecturer. Unable to attend the full day? Morning or Afternoon session is available for a dentist's cost of $160 for either session and $100 for each staff member. Morning Session runs 9:00 a.m. until Noon. Afternoon Session runs 1:00 p.m. until 4:00 p.m. Lunch is not included with single session registration. Single session registration IS NOT available online. All-day seminar cancellations: Cancellations made prior to November 1, 2018 are fully refundable. A fee of $40 will be deducted from all refunds for cancellations made on or after November 1, 2018.